I hate the thought of turning my attention to 3 short weeks away, especially after spending the last 7 days beefing up in the Cévennes (there is a ‘great irony’ article that is just about to write itself soon), but I guess I have to. I’ve paid my entrance fee and need to keep John company at Chateau d’Oz. Crash diet tips anyone? But whining isn’t the (whole) purpose of this post – information is. Yes, that’s a real road. The Lacets de Montvernier, in fact. 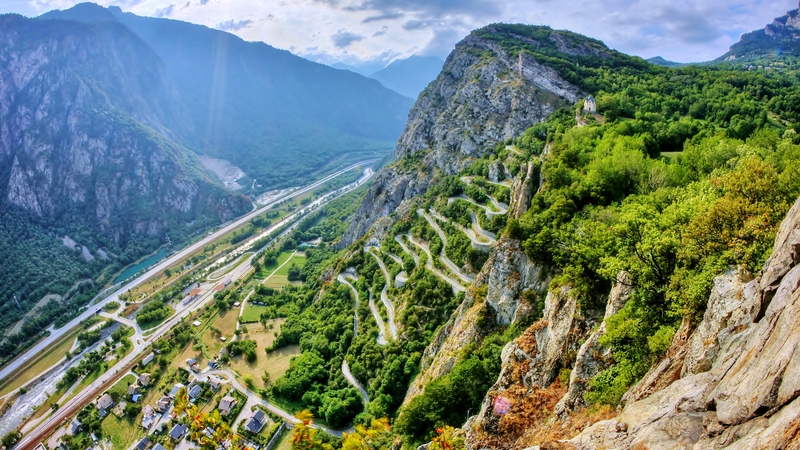 These 18 extreme switchbacks will be used in the Tour de France (Stage 18) this year, and just saw a stage of the Dauphiné this afternoon, actually. From here we descend to the valley again then climb the Col du Mollard (which I did a few years ago from the opposite side), Col de Croix de la Fer (ditto), and finally, the traditional ascent of Alpe d’Huez. 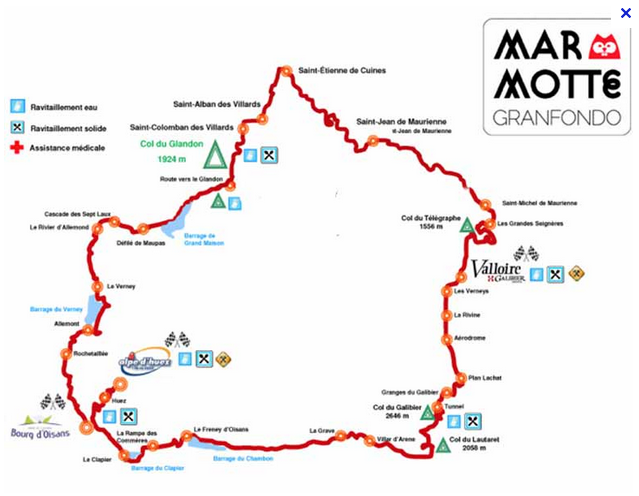 The damage is 170 km and 5100 meters of climbing, which is very near the numbers of the traditional route. Whether I should be happy about that or not is another story. Ger, i didn’t realise Les Lacets de Montvernier would look so enticing, It’s actually very beautiful. It’s probably the only way I’m going to see it considering how white my knuckles will be on the drops. Quite an experience! It’ll be something to say we’ve done, Pierre. And in the same year as the Tour, to boot. That looks a brilliant climb, nothing like a good bit of shoelace! 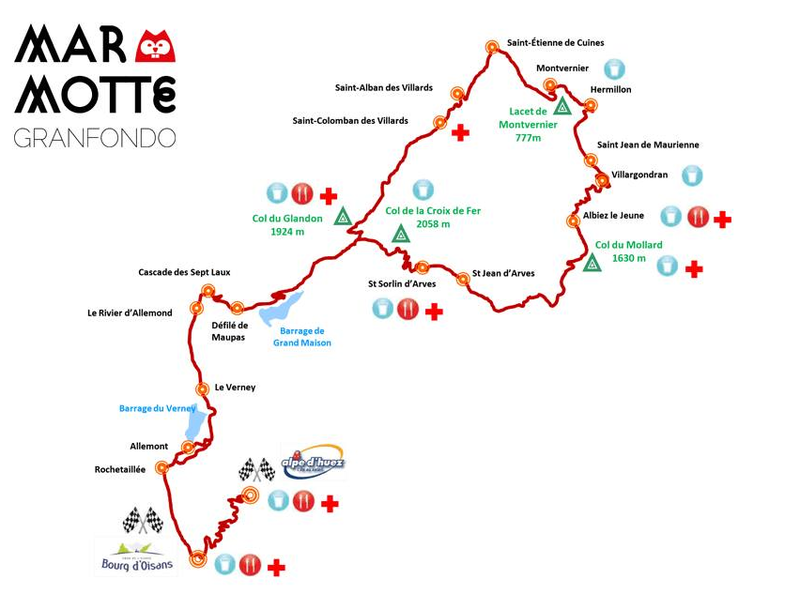 The route looks quite desperate to me, so best of luck! ‘Shoelace’…just found a new word for switchbacks. Thanks! It’s the literal translation of lacets I believe, correct me if I’m wrong though. I would never presume to correct anyone’s French, Fossil! I just never bothered to think about using the English word. Works quite well. Yikes! I am all but speechless, almost breathless, just looking at that climb. So again, yikes! Heading to the Alps next year, perhaps, Suze? Actualy ithat photo makes me consider creating a new list: climbs to never ever under any circumstances even think about! It looked great on the Dauphine today–epic! I missed it unfortunately. Must have been breathtaking! Looks amazing road, the picture is really great, do you have the original one? by the way really great blog. Thanks, Limpens! No, I don’t have the original…I ‘borrowed’ it from the internet. That road is really amazing. I rode it last summer.